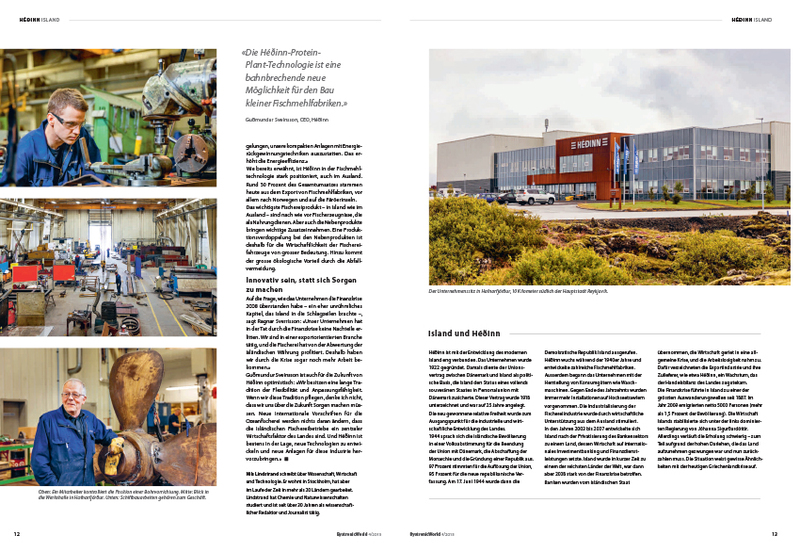 Es gibt florierende und weltweite Industrieunternehmen in wirklich allen Sparten – in diesem Fall der Weltmarktführer in der Konzipierung effizienter Fischmehlfabriken: Héoinn in Island. 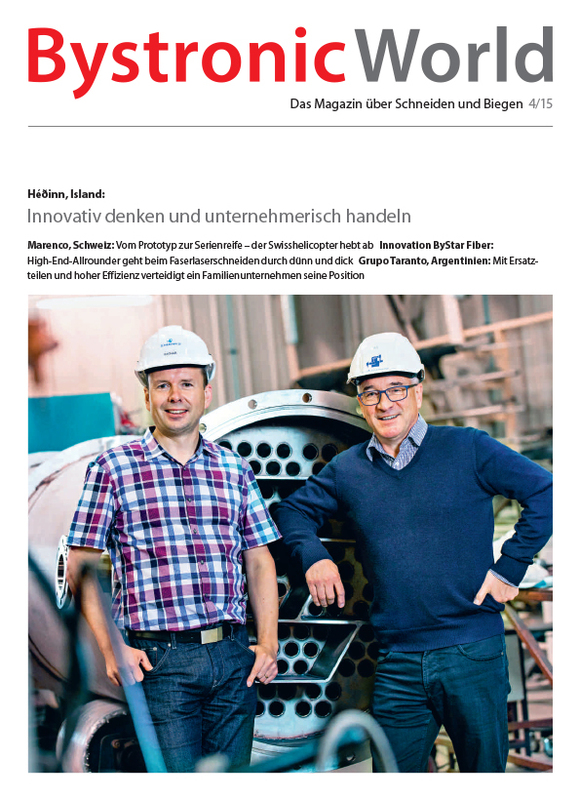 Und da das Unternehmen jüngst zwei Anlagen von Bystronic in Betrieb genommen hat, hat die Firma aus der Schweiz den fotogloria-Fotografen Gunnar Svanberg für Ihr Kundenmagazin »Bystronic World« im hohen Norden losgeschickt. Daraus entstanden ist prompt die Titelgeschichte und dazu noch ein kurzer Film über Héoinn. Begleitet hat das Thema übrigens die Münchner Agentur independent medien design. Und wir haben Gunnar Svanberg zu dem Job befragt. fotogloria: You came to do the Bystronic World photo shoot via fotogloria – what was it about and what exactly needed to be photographed? Gunnar Svanberg: I received a call from a colleague and friend who was first asked to do the job. His plans changed so he asked me if I could take over for him. 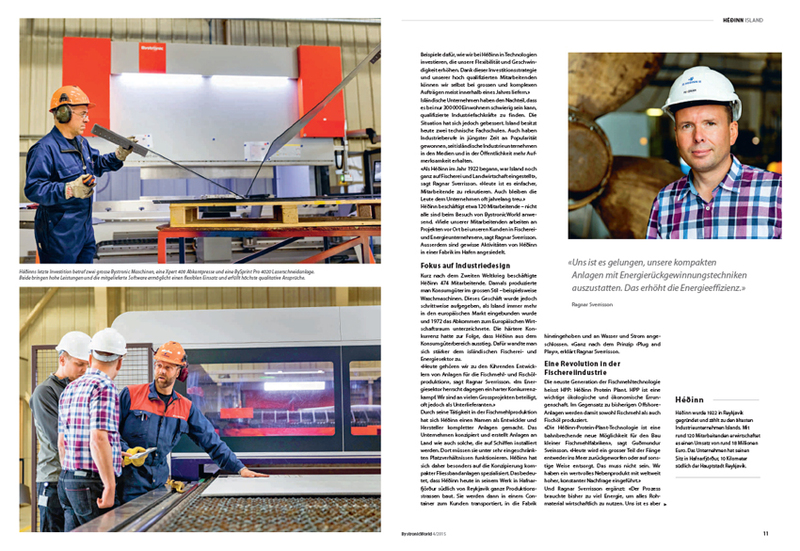 I was asked to photograph an industrial company with a special focus on the Bystronic machines – they just started to use them. My choice of equipment was Canon 5DSr with Canon 85mm f.1.2. lens, Canon 24-70 II f.2.8, Canon 100mm Macro, Canon 135mm f.2, Sigma 50mm f.1.4 The lights that I took with me where 1 Profoto B1 and two Profoto D1 heads. Then I had one big LED panel for the video interview. For the sound of the video I had RODE microphone and a Zoom H5 for recording the sound. The brief was quite good. It said what had to be done, but still leaving enough space for me to be creative. Since there was a journalist coming from Sweden, who was taking the actual interview (I just filmed that), I had no flexibility regarding choosing the the right light etc. So when I showed up, I met the client and asked them to show me around the factory. Then I spoke to my assistant on what I wanted to shoot, so we used the time to set it up while waiting for the journalist. When he arrived we shot the interview and then we took the photos in the company. I always try to have my setups as relaxed as possible so nobody feels that they are actually in a photoshoot. I feel like that was achieved, so I’m happy with the results. The people at fotogloria where all very quick in responding my requests and are easy to work with. Dieser Beitrag wurde am 24. 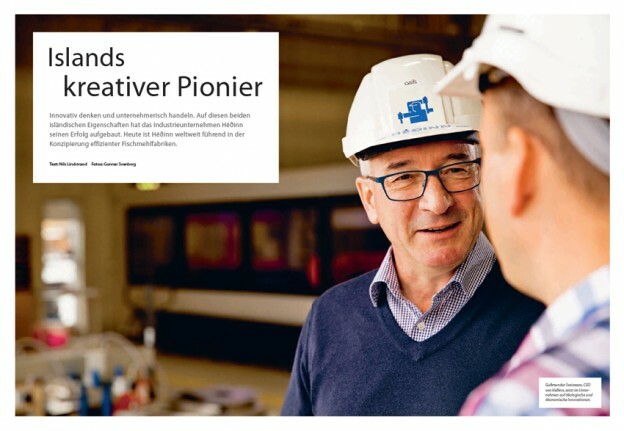 Februar 2016 von adminB in Corporate, Industrie, Internationales Netzwerk, Interview veröffentlicht. Schlagworte: Assignment, Corporate, Corporate Fotografie, Corporatefotograf, Corporatefotografie, fotogloria, Fotografen weltweit, Fotografie International, Fotografie weltweit, Gunnar Svanberg, Industriefotografie, Internationale Fotografen, Internationale Fotografie, Internationale Fotografoe, internationales Netzwerk, Interview, Island, Kundenmagazin, Reykjavik, Unternehmenskommunikation, Weltweite Fotografen.